Top of the league for 20 minutes, it was fun while it lasted. 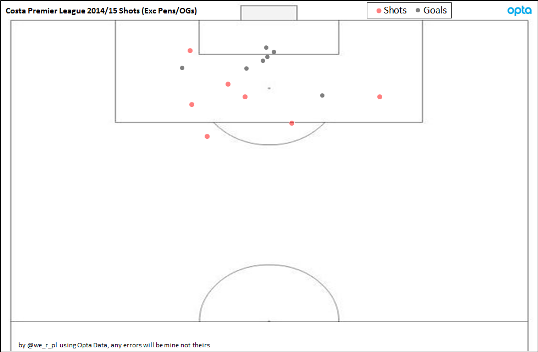 Although 4 goals (and 29 shots) conceded there was plenty to take encouragement from although the last half hour felt like a slow suffocation. 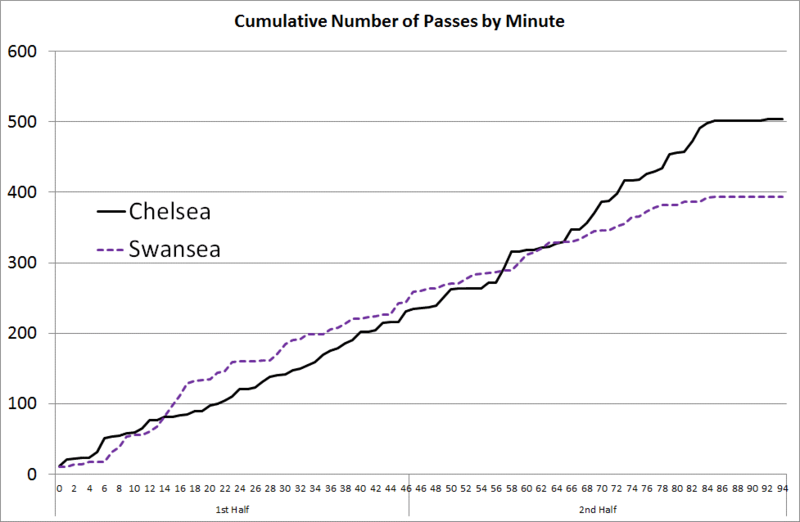 The change in the flow of the game can also be seen by the pass volumes over time, Swansea with plenty of the ball early on (even if it was in relatively unthreatening areas most of the time) but from about 65 minutes it was one way traffic. Costa obviously gets the headlines and Fabregas another two assists but it was arguably Hazard who ran the show for Chelsea from an attacking point of view. He had 9 successful take ons (from 10 attempts), 5 more than Gomis who had 4 from 5 and who I thought had an excellent game turning Cahill on a regular basis. It'd be easy to say if only we'd held on until half time or if only Gomis had taken his 1v1 to make it 2-2 that things could be different, some weeks you get the breaks, other weeks you don't. 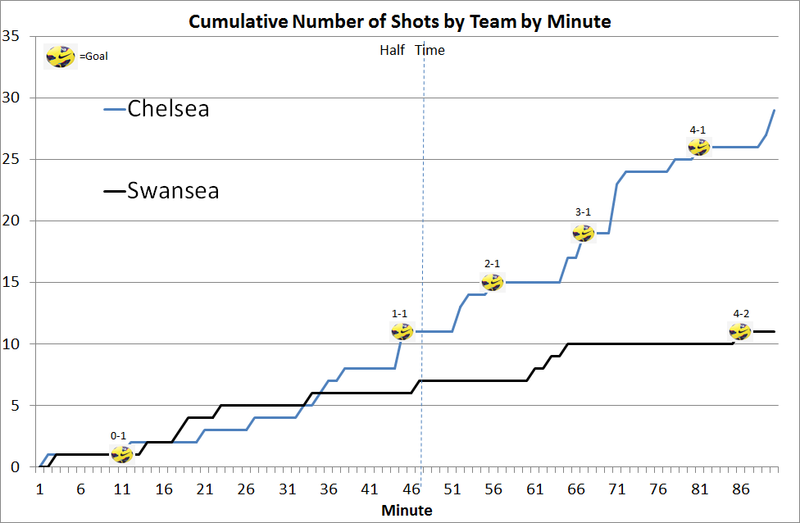 What large parts of this match showed is that we can give any team a run for their money.